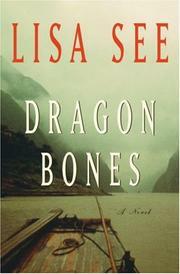 A Chinese police inspector and her American lawyer husband venture up the Yangtze River to investigate murder and corruption. This is the third in See’s series (Flower Net; The Interior, not reviewed) set in the Middle Kingdom, and it drags a fair amount of baggage forward. Heroine Liu Hulan is a tough cookie who makes things difficult for the criminals she goes after. But she also makes them tricky, to say the least, for her husband David Stark, American lawyer in private practice in Beijing and frequent investigative partner of Hulan’s. At the outset here, Hulan is monitoring a Tiananmen Square demonstration of a Falun Gong–ish cult when one of the demonstrators pulls a knife and tries to kill her daughter in a sign of protest. Hulan shoots and kills the mother—the right thing to do, perhaps, but still not something her bosses are particularly happy about. Soon, Hulan and Stark are heading up the Yangtze, to the construction site of the massive Three Gorges Dam, to look into the death of an American archaeologist. While the two do what they can to ferret out the culprits behind the murder (soon to be murders) they’ve been sent to look into, and the theft of artifacts from nearby digs, the oppressive memory of their shared history (especially the tragic death of their child) keeps tripping up the forward momentum of their stalled relationship—and, unfortunately, of See’s story as well, though for the first third or so, the author makes good suspense out of her nuanced integration of the Chinese and American cultures, and of the massive, Pharaonic (and real-life) Three Gorges Dam. Moderately engaging whodunit that becomes whocaresaboutit before the end.